It is not difficult for anybody to understand that some photographers, and particularly this one, have a fondness for hyper realistic painting. I admire Edward Hopper, and Canada’s Christopher Pratt, Alex Colville and Mayne Island's Jim McKenzie. I have a fondness for the not so realist Americans Thomas Eakins (also a fine photographer), Winslow Homer, all the Wyeths, and John Singer Sargent. The above is probably because I am unsophisticated and I have a poor understanding of Jackson Pollock's dripped paintings. With that out of the way I will now hope to dazzle some of you with the sense of wonder, delight (a smile came to my face) when I looked upon the front page of my NY Times this morning over my large mug of strong tea. 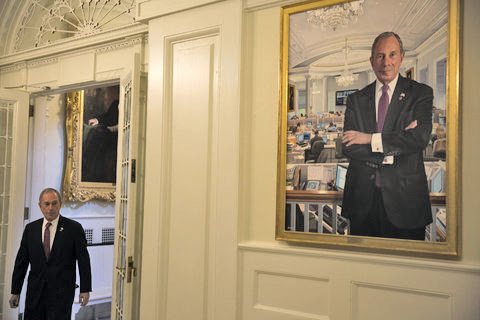 My eyes caught Damon Winter’s photograph and because of the not excellent reproduction on newsprint, both the real Bloomberg and the realistic painting by John R. Friedman look identical. This was and is the kind of photograph that would not appear in those awful “The Year in Review” kinds of photographs that feature war, famine, death, assassination and more. For the delight of any that might still be here I am featuring both my scan of the NY Times cover and the download from the on line version. 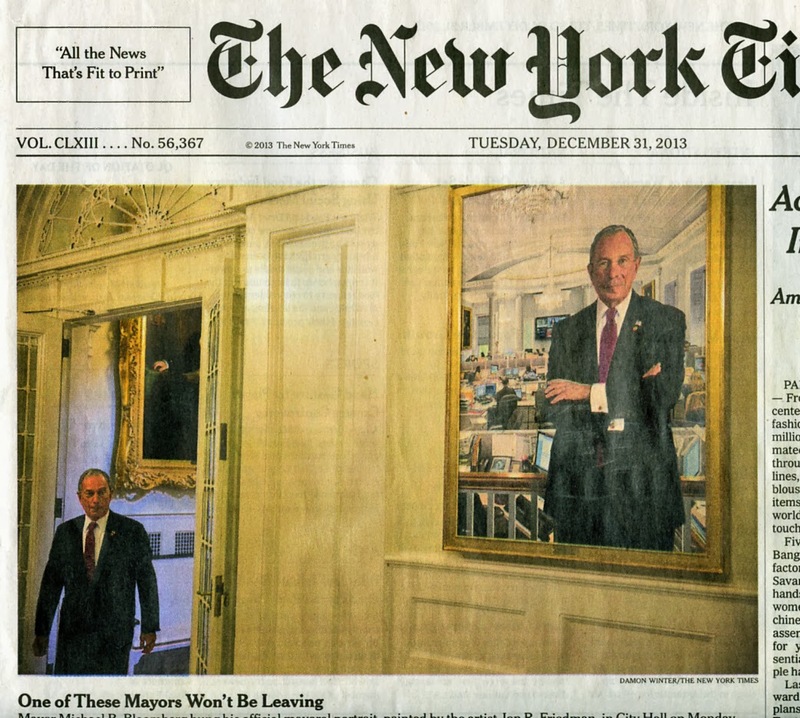 It is my hope that in the spirit of the coming new year both Damon Winter and John R. Friedman (and of course the NY Times) will not sue me for copyright infringement.